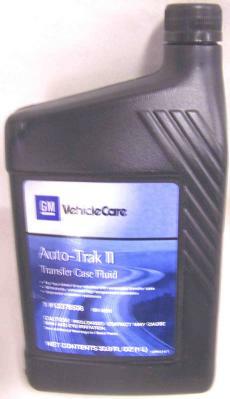 This is the ONLY fluid for you Auto T-Case in your GM vehicle, GENUINE GM Auto Trak II. This has all the correct modifiers and conditioners to ensure smooth operation of your GM Auto T-Case. The best as always to you from RiversideGear!